I’ve just recently started using primer after someone recommended it to me and told me I’d look flawless! And who doesn’t want to look flawless?!?!?! Since I wear MAC foundation, I figured I’d try theirs. I did see a difference in the way my makeup went on, much smoother, but not enough for the price! I just ran out as of yesterday, so I figured I’d see what else is out there that costs much less, but does the same job. 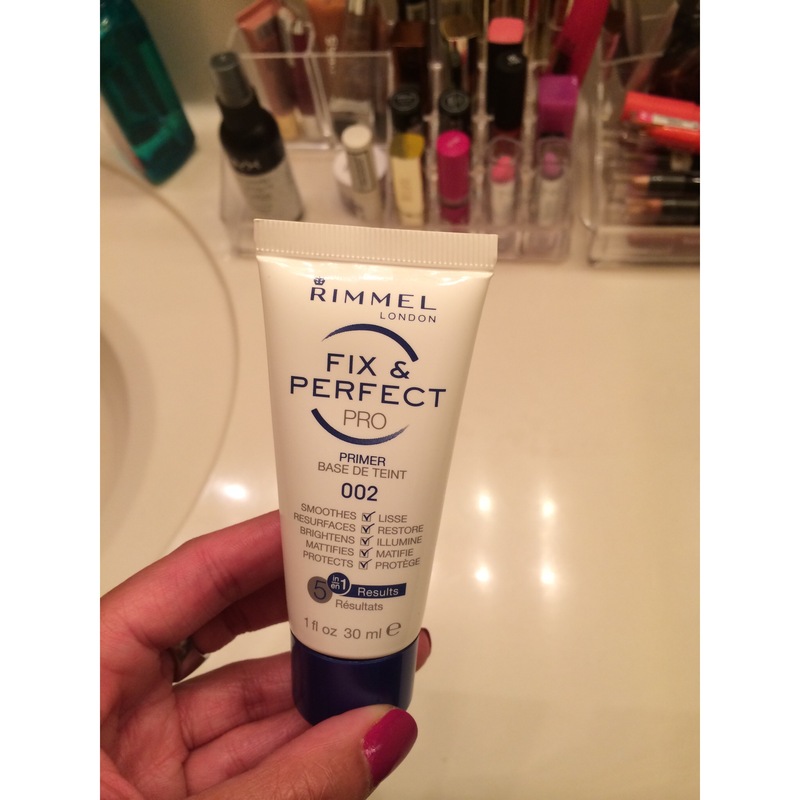 I went to Ulta and decided to try Rimmel’s primer. It was only 6.99, so I figured even if I hated it, it was worth a shot. Plus, Ulta will accept returns if you don’t like a product, so that’s always a plus! I tried it out this morning. A little goes a long way. I like the consistency, not too thick or thin, so it goes on easily. It creates a super smooth canvas to apply your foundation. I can’t say I’m completely in love. I’ll most likely try another brand when this one runs out just to see what else is out there. Do you have any inexpensive primer suggestions? Please share! Above the knee is the length for me! That’s interesting because mine isn’t thick at all! I’ll have to try ELF! Try Milk of Magnesia or Monastat GEL (YES, you read that correctly as primers!) as odd as the 2 choices may seem, they both work very well underneath your makeup! I’ve noticed the M.O.M lasted for several hours (no need to reapply makeup throughout the day & matifying!) & the Monastat made my skin & foundation feel & look like butter. If you decide to give either one a try *(Use the ORIGINAL M.O.M-do NOT use the flavored kind i.e…cherry) & remember GEL formula for monastat. For more info…look on YOUTUBE this is where I discovered both uses! BTW-Enjoy your blog! This is definitely my first time hearing of those suggestions! I’m willing to try anything once! And thanks for reading my blog, I appreciate it!!! !